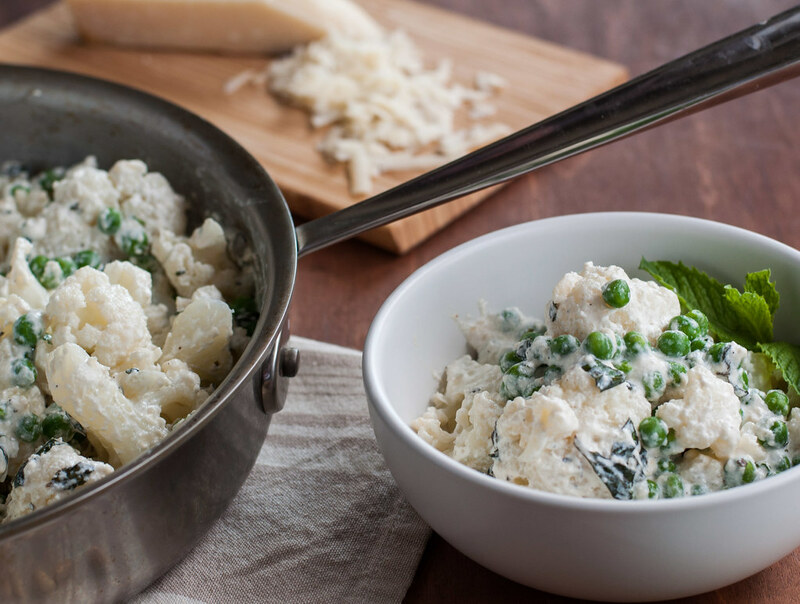 This should really be named “Cauliflower & Herb [that-will-make-you-forget-it’s-not-at-all] Pasta with Ricotta Sauce”. Much more accurate, but a little clunky. When I think deeply about it, though, the purpose of calling it a faux pasta is to immediately let you know that this is a standalone rich, filling supper, not some overboiled cauliflower side dish with cheese thrown in. It’s one of those rare recipes that I’ve grown to love so much (as does almost anyone who tries it) that I’ve actually repeated it more than three times in one year. Probably double that in seven months, actually. That kind of performance record is what brought me to re-photograph the dish (as in, not on an iPhone) and just double check everything in the recipe from the first time I shared it. Oh hey, throwback Friday. Are you back from checking out Balancing Active? I know, it’s not super pretty, but it has a special place in my heart as my entry into the blog world, and, to be fair, there are some recipe goodies over there. As I remake those dishes I’ll definitely keep shooting them in a slightly more tantalizing manner than the originals and proofing the recipes once more. I was impressed when the original recipe came out perfectly as written. I followed it to the “T” as if it were my first time making the dish and am happy to report you’re safe using the old version. However, I’ve duplicated the recipe below so it’s easy to access through my recipe index. Oh, and speaking of recipe index, I have an upgrade to share with you! Hunting for a specific recipe on almost any food blog is far from a science. And it seems that the better your site gets and the more recipes you have available, the more difficult it gets. For example, you go to the grandmothers (sorry guys, I only mean that in a totally respectful way) of food blogging, Smitten Kitchen and the Pioneer Woman to name a couple, and you want to find a recipe for gluten-free cherry pie. Do you look in the gluten-free section, or the dessert section? And then when you click on desserts, all you get is a chronological stream of posts or a long list of recipes, so do you just Ctrl+F the page? All I’m trying to say is, it’s not a perfect system, everyone has their own way of searching, and I now want to make a pie this weekend. Hello, Friday night activity. P.S., I need volunteers to eat said pie. Wow, anyway…recipe index. I haven’t implemented the perfect search solution yet, because I’m only one person (I do, however, have grand plans of putting Steve to work on this). But I have just added a page where you can locate recipes by special diet, primarily by gluten content or various levels of animal products. Since there aren’t 27.5 hours in a day, I haven’t covered every special diet, so if you have an allergy or other concern, let me know, and I’ll do my best to help you out and direct you to recipes that may work (or try to answer questions about my existing recipes). As my collection grows, you’ll also have good luck using the search bar over on the right, if you’re looking for something specific. 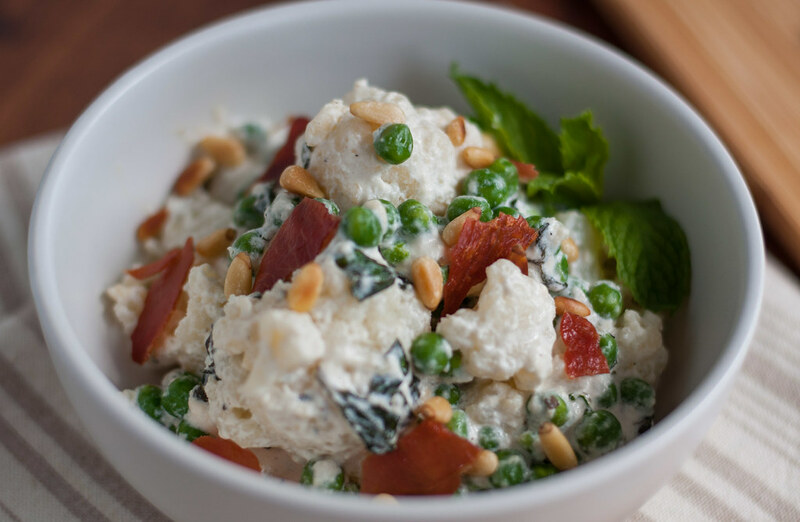 So check out the new list, dig through the archives a bit, make this cauliflower for dinner, and have a great weekend! If you do some fun cooking, post a pic to Instagram and tag me or hashtag #nckhomemade! Doesn’t have to be my recipe–I just like to see all the cooking going on in the world. If nuts aren’t already toasted, heat them in a large (3 quart) skillet or Dutch oven over medium heat without oil. Stir or shake occasionally for 5 to 10 minutes, until mostly golden. 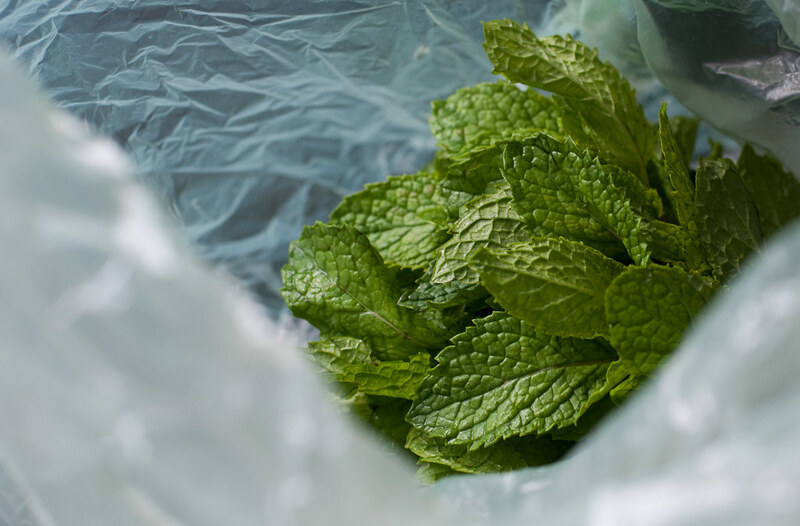 Transfer to a cutting board or paper towel to cool in a single layer. Heat the same pan over barely medium. Add prosciutto or bacon in a single layer and cook, turning occasionally, until most of the fat has rendered and slices are just darkened and beginning to crisp. Remove to paper towels to drain excess fat. 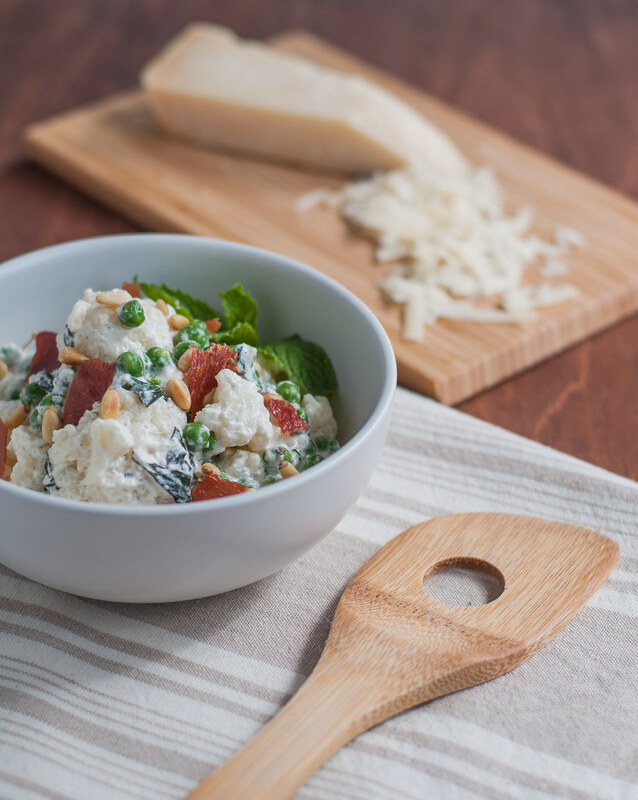 Once cool, roughly chop or crumble prosciutto and set aside. Bring a large pot of water to a boil over high heat. 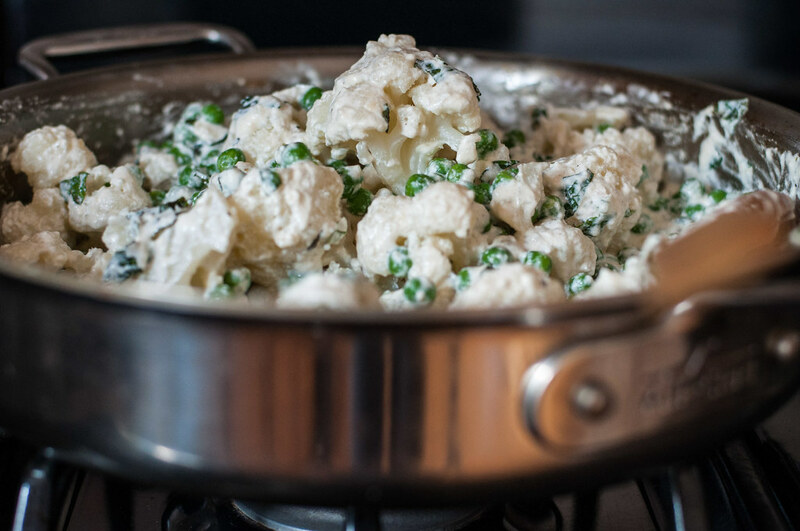 Carefully add the cauliflower (a slotted spoon works well) and boil for about 6 minutes, until just softened. Reserve about a half cup of the hot water, then drain cauliflower in a colander and set aside. 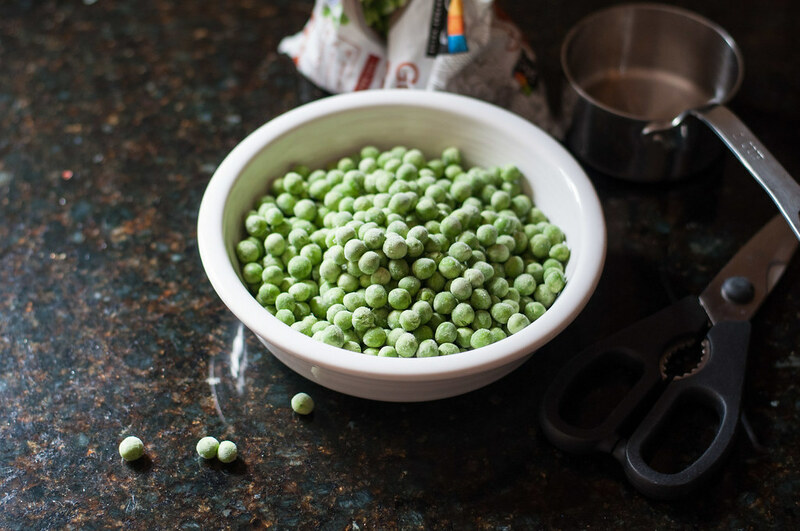 Heat the oil in the same pan from the prosciutto over medium high, then add the peas. Cook 3 to 5 minutes, until thawed and warm. 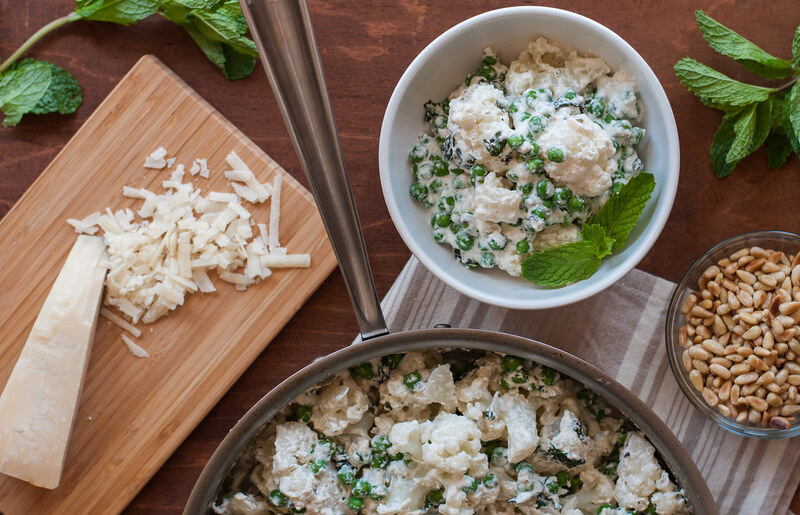 Reduce heat to medium low and add the ricotta, parmesan, almost all the herbs, 2 tablespoons of the reserved hot water, salt, and pepper. Stir until well combined into a thick sauce. Add the cauliflower and stir to coat in the sauce. 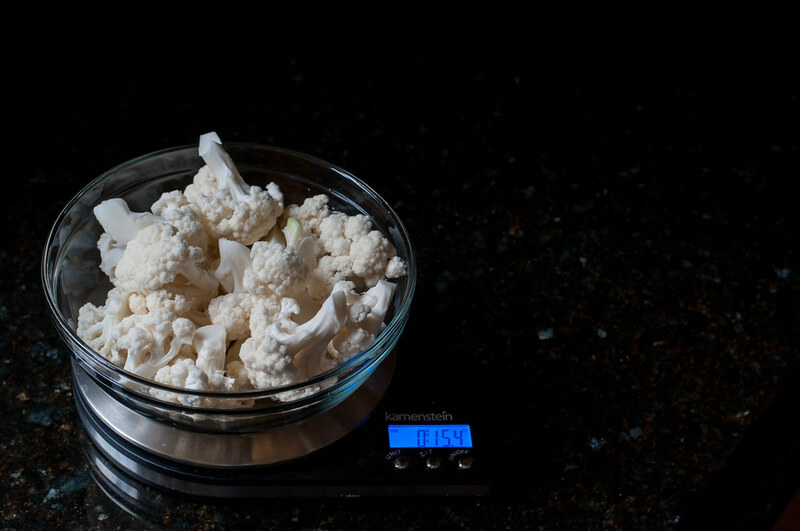 If sauce is too thick to evenly coat cauliflower, add more of the reserved water a tablespoon at a time. Remove from heat and adjust seasoning to taste. 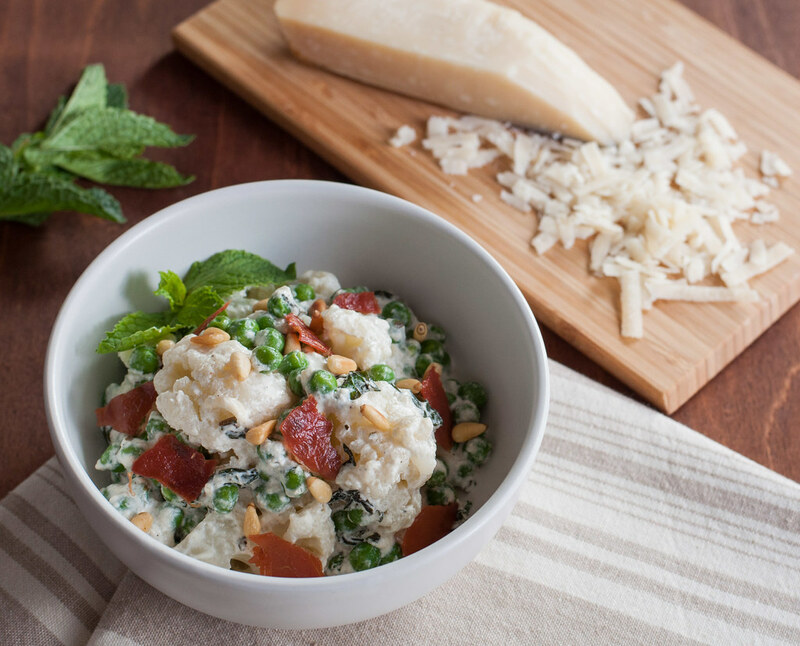 Serve cauliflower topped with nuts, prosciutto, and extra parmesan and herbs. Adapted from Stone Soup‘s cauliflower pasta recipe. Adapted/refined from Stone Soup‘s cauliflower pasta recipe. 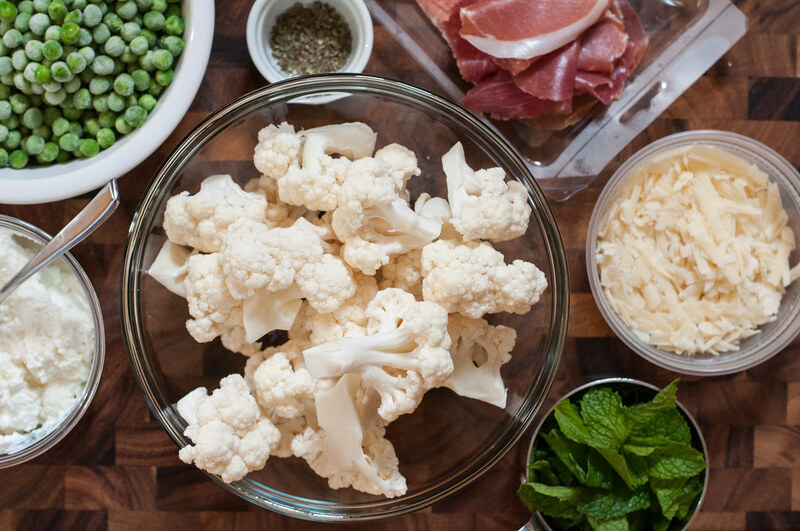 what a great recipe.. never thought to cook cauliflower this way before. you have definitely inspired me to create the recipe and try something new! You’ll love it–so easy and tasty! Hello, my husband asked to have this made for his special birthday dinner. I’d like to pin it so I came come back to it but the recipe won’t come up attached to the picture after I pin it. Is there something wrong or could you possibly reattach it to Pinterest? Jean, I’m honored he would request this for a special night :) Everything looks in order on the techie stuff on my end. If it’s not working for you, my apologies, and here is where I have it pinned, with the recipe showing. Thx so much!? I’ll try again😀. If not I’ll be sure to go to your page, honestly I’ll probably do that anyway😉.